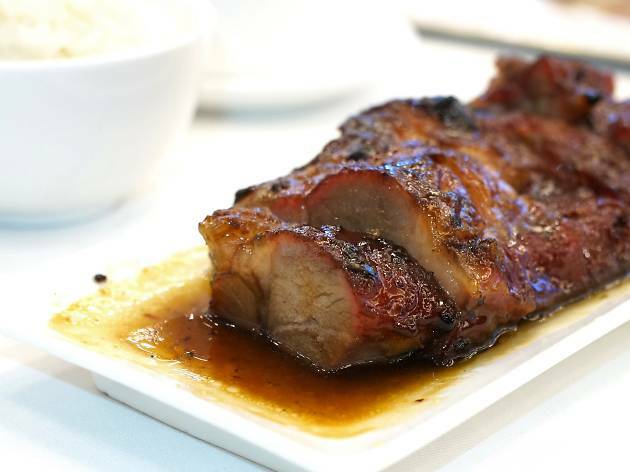 There’s a popular saying in Hong Kong: “It would have been better to have given birth to char siu than to you.” Why? 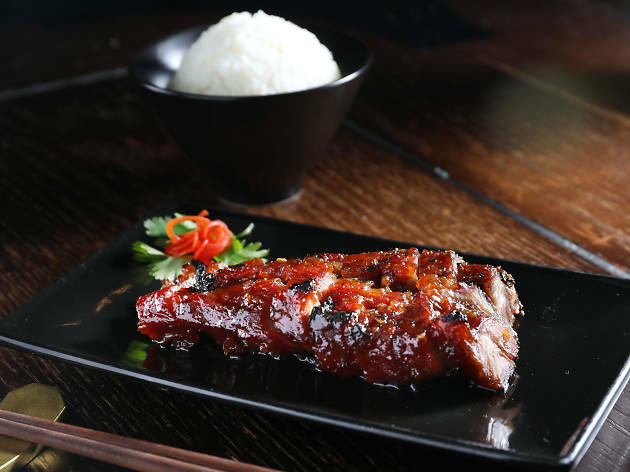 Because char siu, or Hong Kong-style barbecue pork, can be more amazing than any child. Pair it with some rice and it’s a match made in heaven. 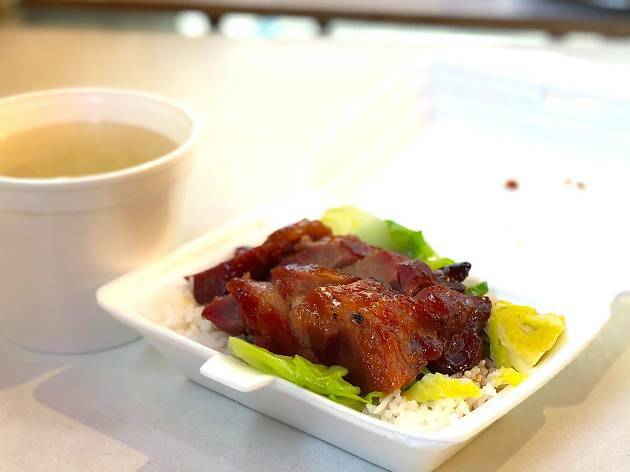 Much like dim sum and gai daan zai, char siu rice is a quintessential Hong Kong dish and a local comfort food fave. While you can find it almost everywhere across town, quality varies tremendously. You can get it for as cheap as $21 with a soup and a drink, or you can splash out over $300 to get it just on its own. 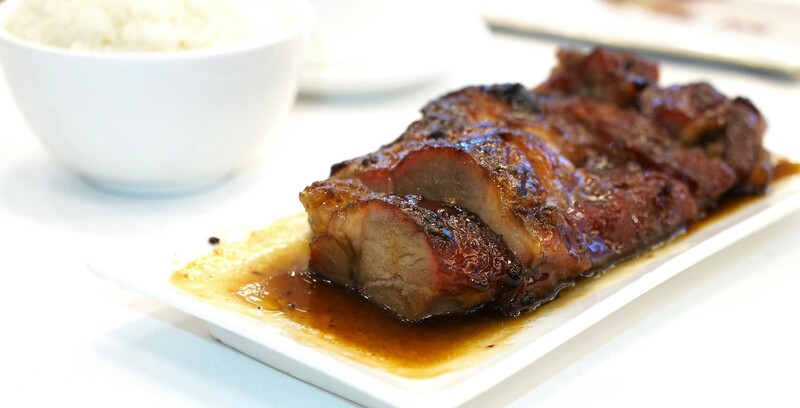 We check out four famous restaurants and put their fare to the test to find out which serves the best char siu rice in all Hong Kong. Looking for more local comfort food? These great cha chaan tengs should do the trick. The dim sum at Mott 32 needs no introduction. 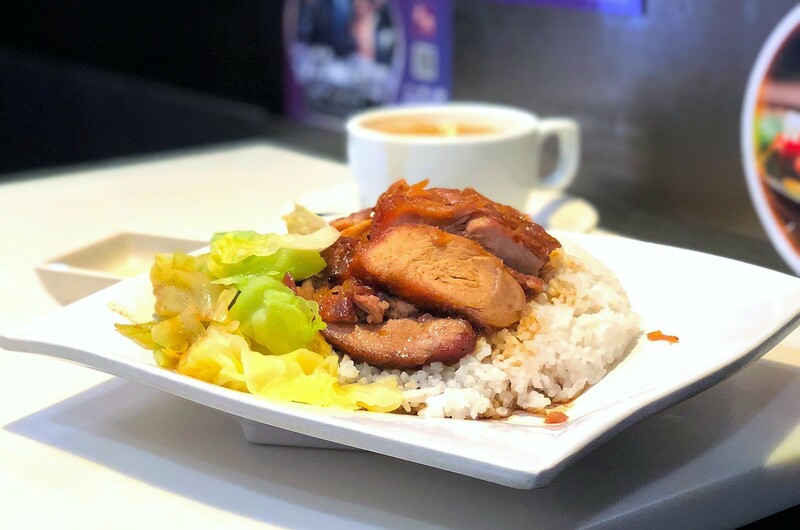 The same goes for its char siu, which is renowned for being the most expensive in Hong Kong, each serving costing $298 – add another $20 if you want some rice to go with it. That being said, Mott 32’s barbecue pork is well-worth the price. Using the most tender part of Spanish iberico pork, the meat is marinated in a char siu sauce and seven kinds of seasoning for an hour before being baked for 40 minutes to lock in the juices. Brushed with maltose and honey to give it an extra sheen, the meat is incredibly tender and juicy, while the light layer of honey makes it sweeter than regular servings. Every bite tastes like luxury. 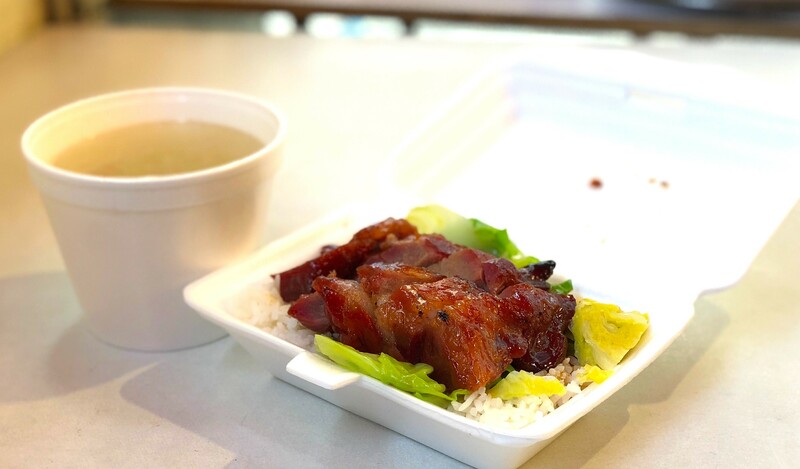 A small neighbourhood joint in Yau Ma Tei, Sun Kwong Ming primarily offers takeaway, though there’s a couple of tables in the neighbouring alley if you don’t mind slumming it. 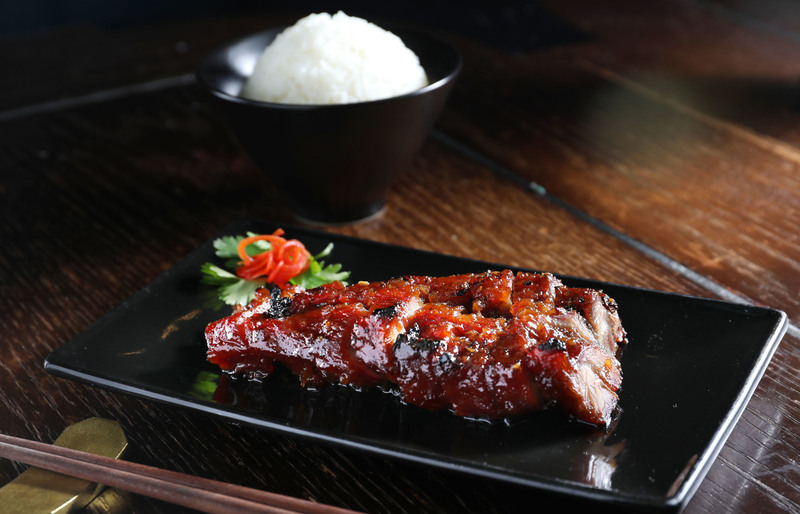 The char siu is made fresh everyday and you can order entirely lean meat or half-fatty-half-lean. For the all-lean variety, it’s not too tough, though it’s missing the signature charred ends expected of char siu. While the honey isn’t too sweet and the meat itself is on the salty side, it pairs very well with rice. That said, taken as a whole, the rice box is none too shabby. Combined with the homemade sauce, the whole thing comes together like a charm. Bonus: all orders come with a bowl of soup. For $21, Sun Kwong Ming is definitely excellent value. A quintessential Hong Kong restaurant with more than 50 branches across Hong Kong, Tai Hing is one of the most well-known siu mei shops in town. Char siu is its bread and butter. They use pork shoulder for the meat, which is lean and chewy. Unfortunately, it lacks flavouring and tastes a bit bland. The thickness of each slice also lacks consistency, which somewhat ruins the tasting experience. We suggest adding some ginger into the mix to boost the flavour. For $61, you also get a drink included. Just don’t have any high expectations. 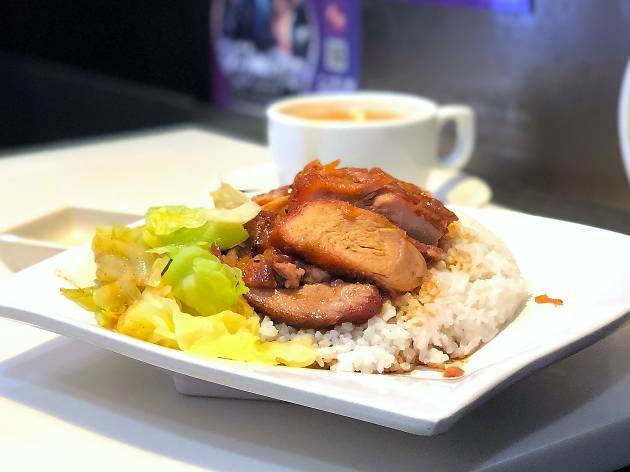 This Michelin-recommended Cantonese restaurant is well-known throughout town for its Dai Gor char siu, aka Big Brother char siu. And it’s seriously good. Picking only the best bits of pork shoulder, it’s a perfect balance of fatty and lean. Every slice of barbecue pork has a great texture and aroma. The marinade is hugely important as well. Made up of hoi sin sauce, chu hou sauce, honey, ginger and maltose, it’s bursting with flavour. Neither too sweet nor too salty, it’s charred just right. The thickness is also a strong point – the juices come flowing out with a single bite. Mix it all together with rice, which you have to order separately, for a winning formula ($128 for char siu, $16 for rice). Hankering for local meat dishes? 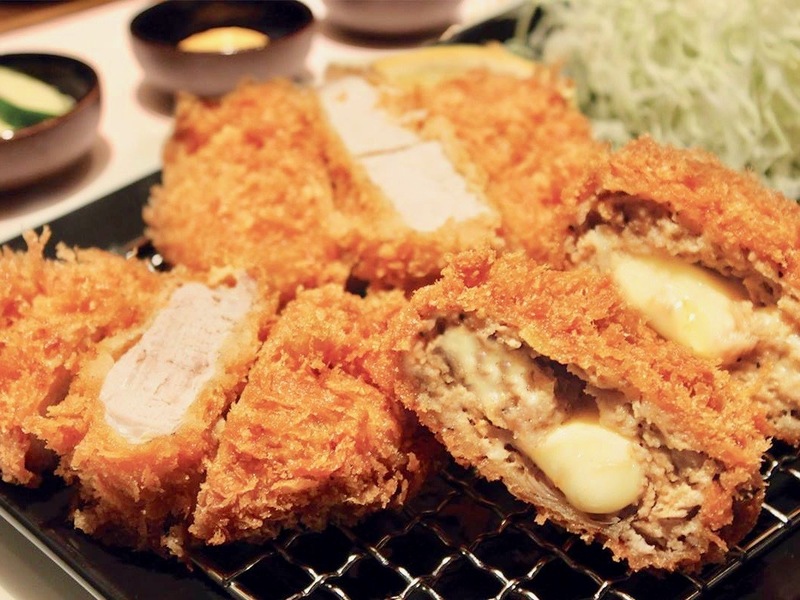 Pork chop and rice is one of our city’s fundamental dishes. There are many variations across town and the quality is equally varied. So where to find the best in town? We’ve got you sorted.